Signage For Care is a sub-brand of Wayfinders, a signage company based in Dublin who has been in business for 40 years. Our online shop is dedicated entirely to our new and innovative range of dementia friendly signage. We have been designing dementia friendly signage for care homes since the very beginning. We discovered a gap in the dementia signage market and decided to take matters into our own hands in 2016, which is when Signage For Care was born. Our signage is designed to meet all necessary requirements for a dementia friendly environment, such as high contrast and easy visibility, while still looking absolutely lovely. -Signage For Care is a sub-brand of Wayfinders, a signage company based in Dublin who has been in business for 40 years. Our online shop is dedicated entirely to our new and innovative range of dementia friendly signage. We have been designing dementia friendly signage for care homes since the very beginning. We discovered a gap in the dementia signage market and decided to take matters into our own hands in 2016, which is when Signage For Care was born. Our signage is designed to meet all necessary requirements for a dementia friendly environment, such as high contrast and easy visibility, while still looking absolutely lovely. Cortech Healthcare Ltd (CHL) have created a patent-protected movement system and, by developing this into an Electronic Commode Showerchair, has enabled single operator use, mimicking human movement for the end user and full customisation to the specific needs of each user. Not only does this increase the usability of these products but there is an additional rehabilitation benefit. From their design, development and manufacturing base on the Isle of Man, CHL has engineered the innovative technology from a needs-based viewpoint and not created a 'me-too' range, and as such it is expected that this innovation will revolutionise the ILP market helping to increase the levels of independence for all users as the company develops other products within the portfolio. CORCOM’s design has been such to improve the level of independence for the end user, increase their level of dignity when using these necessary products and to be customisable so it is relevant and appropriate to their specific needs and not a ‘one size fits all’ approach. The movement of CORCOM with the stand assist function allows any user with limited mobility to take control of their life in regard to when and how they use these products. They can be controlled wirelessly by a clinician or care worker (safely with single handed care), but they can also be controlled by the user. The mechanism, as an integral component of the CORCOM products, allows the user to carry out their necessary function in a private manner with no assistance needed from clinical or care staff. Being able to use the toilet and washing oneself without third party intervention is something that is of enormous psychological benefit to these users. CORCOM is available across the UK through our exclusive distributor partners and if you would like to learn more then please contact Cortech Healthcare Ltd directly (www.cortech-healthcare.com) or via our distributor partners: Osprey Healthcare Ltd (England and Wales www.ospreyhealthcare.com) and FastAid Mobility Services (Scotland www.johnpreston.co.uk/scotland). “The team here at ECA have been dedicated to providing expert business energy & water advice in the most resourceful and friendly way that we can and have been doing so for over 30 years. We are a family business and our approach is to treat everyone we come into contact with as “one of our own”. Our approach would be to start with an impartial appraisal of your existing energy contracts. We will then provide clear recommendations on further actions that could be taken to improve your situation ranging from fiscal through to “best practice” etc. You will always receive honest and impartial advice from us and we will demonstrate our value to you and your business through our unique reporting system. Click here for a recent case study. Radio Reminisce. The new online radio service for the care sector, mature listeners and beyond! 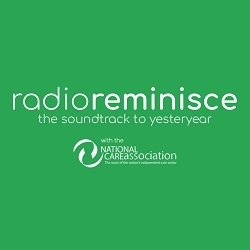 Radio Reminisce is proud to provide an online radio service dedicated to the care sector and a matured listener demographic. We provide a 24/7 radio stream live from our home page providing the music that matters and daily news in a non-commercialised environment. Our subscription on-demand radio programmes, including our very own DFA (Dementia Friendly Audio), are tailored to the care sector but can be accessible to all and enjoyed by everybody. Ultra Protect are a family owned company that specialises in Safety, Health and Security, always at the forefront of supplying innovative products to the market. ‘THE ASSURE’ wristband is the latest addition to our portfolio. This revolutionary breakthrough for protecting and monitoring at-risk individuals, offered as a low-cost, highly effective alternative to other personal and health alarms. THE ASSURE offers comfort, style, simplicity and all-round effectiveness as its solid principles. An individual health monitor and alarm that is designed to send notification in the event of a sudden fall, heart attack or illness, the wearer is also able to send a ‘subtle’ alarm, with simplicity in the event of a burglary or an aggravated assault. This wristband has a self-contained battery, life of a full 1 year, (so no re-charging), comfortable, stylish, waterproof, home or away operation. An alarm raises a monitored call, (within seconds) to appointed/nominated responder(s) in turn until accepted, this can include family, neighbours, nurse, carer and/or the optional 24/7/365 alarm desk. The system also has ability to alert responders with cold room temperature drop, even a power cut, plus retrievable data illustrating trends of activity and sleep patterns. Nominated responders have access, to dashboard and retrievable data via PC or smartphone. For further details of this life saving device, that gives such peace of mind and available from as little as £200, please contact on-line or via freephone......simply amazing. StaySafe.support is a free information and resource website signposting older people and their family, friends and carers, to the wealth of expert advice and support under one umbrella site. The contents of this site aim to help older people stay safe, remain healthy and independent and prevent avoidable hospital admissions resulting from accidents in the home environment.